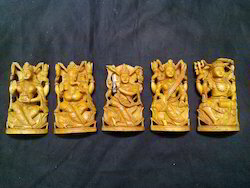 Offering you a complete choice of products which include sandalwood krishna sculpture, sandalwood god statues, sandalwood rosary buddha statue, sandalwood shiva family statue, sandalwood shiva statue and sandalwood buddha statue. 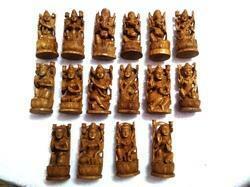 This is an exclusive piece of Sandalwood Krishna Sculpture made of Pure Sandalwood. As per the information available this is largest Sandal wood statue of Sri Krishna in the country. Probably in the whole of world there is no such piece available in Sandalwood. 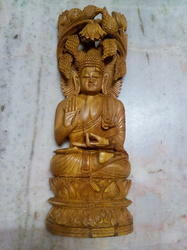 We are immensely involve in making and supplying a huge gamut of Sandalwood Rosary Buddha Statue. Our products is manufactured by using high quality raw material and latest machinery by our experts. These are available with us in different size and shape as per the demand of our customers. We offer our range at very competitive price to our clients. 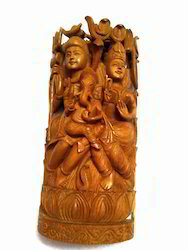 Reckoned as leaders in this industry, we are providing our esteemed clients with excellent quality Sandalwood Shiva Statue. Immensely useful for gifting and decorating purposes, our statue range is highly acclaimed by our clients for its quality features. Prior dispatch, the offered statue is quality checked on various parameters. Apart from this, it is available in a wide variety of sizes and shapes to suit variegated demands of clients that can also be customized in various options. 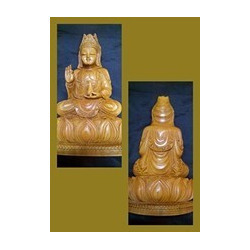 With the valuable assistance of skilled team of professionals, we are offering an extensive range of high quality Sandalwood God Statue to our valuable clients. This statue is designed by our professionals using latest technology and quality tested wood to deliver high quality products. Our offered statue can be availed in various designs, sizes and patterns for our clients to choose from. Further, this statue is available at rock bottom prices.